The Problem: Exposed Blood ! Sanitary napkins & tampon waste contains blood. 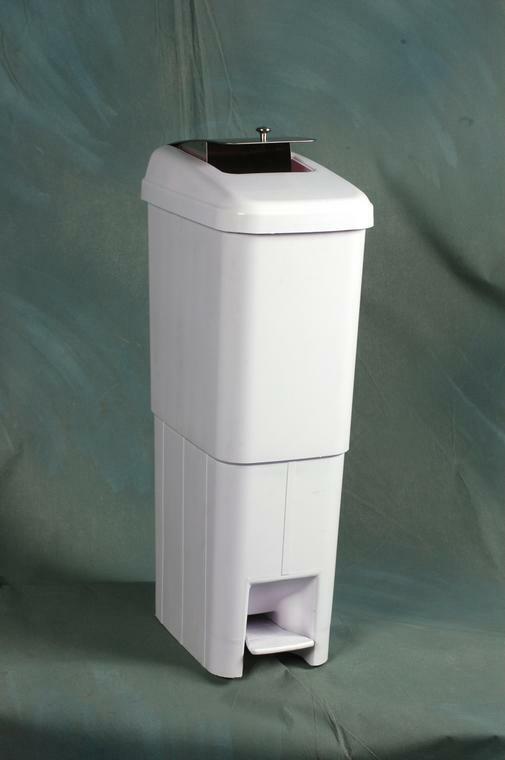 Common wall-mounted disposal receptacles allow deposited sanitary waste to remain exposed and therefore dangerous. Hand contact is required on these receptacles adding futher to the risk of cross-infection. Specially designed Lady bin disposal units holds 35% more waste! Eliminating exposure to harmful bacteria and unpleasant odors. Each Lady Bin contains NLS's exclusive all natural odor neutralizer. Unique design allows for safest possible method of disposal. On a predetermined schedule, each Lady bin unit is exchanged with a Hygienically cleaned unit, by our trained hygiene technicians. All disposal and cleaning occurs at NLS's service facility! Optimum cleanliness for the ladies restroom is now a reality! No more "unsightly" messes in the ladies room!